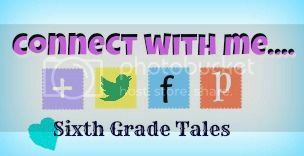 Sixth Grade Tales: Let's get aquainted! 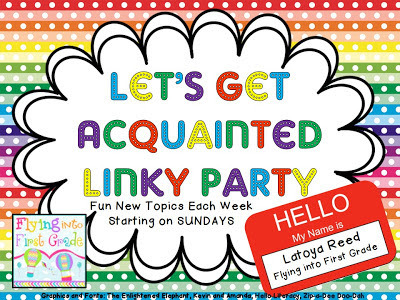 Today I am linking up with Flying into First for a Let's get acquainted linky party. 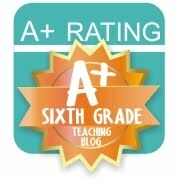 Click the button below to head over to Mrs. Reed's blog and join in! With this linky party you have to write about three topics in the form of a tic tac toe. I chose to do the first horizontal row. I went to ________ college and a favorite memory. I went to Appalachian State University for my undergraduate degree. A favorite memory I have there came from seeing an Eric Church concert at Legends. What made this so special was that he is from Appalachian and his fans were completely engrossed in the concert. I was able to stand close to the stage I probably could have touched him if I wanted to. Everyone around me was having a great time which made it a memorable experience. This is such an easy question for me to answer. Language Arts is my favorite subject to teach and probably always will be. I love seeing students get excited about reading. I can still hear my students saying "let me just read one more page." Having students who don't want to leave my room to go eat lunch because they are so involved in their books is something that I will always want to be a part of. Having students thank me for helping them find books that interest them is something I can't help but to love. This question is not so easy as there are many places I want to go. However, my current dream vacation would be probably be to New Zealand. It is such a beautiful place and I would love to go hiking while taking tons of pictures of the landscape. Jamie congratulations on completing your first year! I commend you for teaching sixth grade. It's great to know that you encourage the love of reading at this age. Who hoo!! New Zealand sounds awesome! Thanks for linking up! Hi there! Found you in the Let's get Acquainted Linky. I love teaching Language Arts as well. I teach 4th grade. Have a great day! New Zealand is on my top five list too! Of course, most of the world is on my list - I could travel to most places and be happy! And I'm completely with you on hooking kids into books. It does my heart good to have to tell a student that as much as I hate to tell them to, they have to put their book away! Wow what a cool linky! I'll have to do it tomorrow when I get some time! New Zealand is great! I love living here. If you ever do come over, let me know! I'd love to show you round!